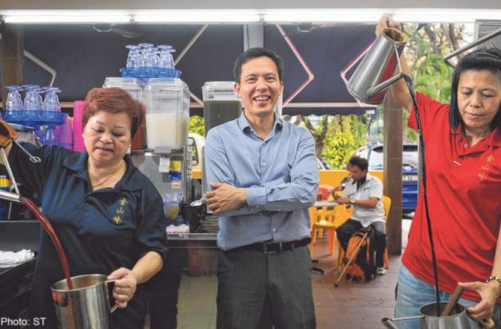 More than 30 years ago, Mr Luke Lim would make his way to a coffee shop in River Valley after school each day to help his mother run a drinks stall. The pint-sized primary school kid - who could balance four cups of hot beverage on each scrawny arm - would take orders and serve regulars their kopi O and teh C.
He was also pretty nifty at brewing java, slicing bread, making kaya toast and turning out the perfect soft-boiled egg. Young Luke did this for several years. The experience did not just make him street smart, it also awakened his entrepreneurial spirit. Today Mr Lim, 41, owns the Louken Group, which has eight companies offering a slew of branding services, and billings of more than $10 million a year. His client list includes some of Singapore's most famous brands, from BreadTalk to Charles & Keith and Polar Cafe. Soft-spoken and mild-mannered with an easy smile, Mr Lim is the youngest of four children. His late father was an anti-riot policeman turned taxi driver; his mother worked as a seamstress before becoming a hawker. With four children to feed, life was tough for the couple who lived in a one-room flat in Lower Delta Road. Mr Lim's mother had to juggle two jobs - factory worker by day, and seamstress by night - when she was carrying him. "I think that was probably why I was such a sickly and skinny child. I had asthma, often got the flu and, being the smallest in my class, I always had to sit in front. My mother called me 'san por'," says the former Membina Primary School student, using the Hokkien phrase which means "very skinny". When Mr Lim was seven years old, his mother started managing a drinks stall in a River Valley coffee shop. "She had to wake up at 4am every day to get the stall ready. She was working so hard so I felt I had to help her." So almost every day after school, he hightailed it to the coffee shop to lend his mother a hand. "It wasn't always a nice business," he says. "I've seen men bullying and harassing my mother. Sometimes at night after customers had one bottle of beer too many, fights would break out and bottles would fly. I was nearly hit in the head by one." When the owners of the coffee shop decided to take back the stall and operate it themselves a few years later, Mr Lim's mother started selling porridge and beehoon at a hawker centre in Tiong Bahru. He dutifully continued to help out whenever he could while juggling practice sessions as a school badminton player for Tampines Secondary School and captain of the badminton team for Temasek Junior College. At Nanyang Technological University, he was elected club president of the Civil Engineering School. "I got to know the presidents of all the other student bodies and discovered that all of them were constantly looking for T-shirts for their members," he says. That was when his entrepreneurial bent kicked in. Gifted in design, he offered to help them design and print their T-shirts. "I found a supplier in Johor to do the printing and went into partnership with him," he says. It was a lucrative business, made even more so when he started sourcing orders from polytechnics and secondary schools. He reeled in a couple of thousand dollars each month, enough for him to pay his school fees and even afford a motorcycle. Mr Lim hit a bad patch in his third year at university. The death of his father after a prolonged illness threw him into a blue funk. "For six months, I didn't eat well. I cried every day. I just stayed in my room and skipped a lot of classes," he says. Fortunately, his friends looked out for him. One even moved into his hostel room for a couple of months to keep an eye on him. "I eventually snapped out of it. I told myself I had to recover," he recalls. When he graduated in 1998, he decided not to pursue a career in civil engineering. His sterling results got him management trainee offers from corporations such as Singapore Airlines and ExxonMobil. But he opted to to join the Trade Development Board where, as a trade officer, he got to travel to all parts of the globe - from Mexico to Israel - with business leaders, visiting trade fairs and exploring trade opportunities in new markets. "I noticed a very interesting trend when I was in Europe and the US. The economy in these places were driven by IP (intellectual property) and branding. I told myself that the tide would sweep into Asia too one day," says Mr Lim, who started to read up voraciously on the subject. Two years later, he plonked down $10,000 of his savings to set up A.S. Louken so that he could help Asian brands become market leaders. He hired one administrative staff member and his first office was a small space in Tanjong Pagar, just enough to fit in two desks and two computers. The early days were tough. He knocked on doors, offering to do anything related to branding, from brochures to CD-ROMs - popular in those days - of company profiles. There was no money to hire a designer so he subcontracted one. With a laugh, he remembers one day when he was caught in a heavy downpour in Tuas. "I was overladen with files and materials and I had to walk for two miles (about 3km) in the heavy downpour before I could find a cab. But I told myself I had to persevere," says the entrepreneur, who made do with just three hours of sleep each night and did not draw a salary for the first few months. The turning point came when clients - happy with his work - referred more business to him. 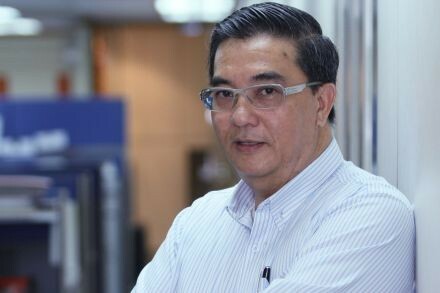 Six months after he set up Louken, he was hired as a consultant by Mr George Quek. "He had only one outlet in Bugis Junction and his office was in an HDB block in Hougang," says Mr Lim. "But he told me, I want you to help me make the brand international." The rest is history. Today, BreadTalk has more than 30 outlets in Singapore and franchises in many countries, including Indonesia, Malaysia, China and India. "I travelled a lot with him. He expanded very fast. I was in his office almost every other day, working out where to plant the brand, doing strategic mapping, and creating brand and franchising systems which could be replicable," he says. With a grin, he lets on that he finally summoned the courage to ask Mr Quek why he picked him as his branding consultant during one of their trips abroad. "He told me that when he was young, many senior businessmen gave him opportunities. He said he also liked my foresight," says Mr Lim, who authored Secrets Of The Little Red Cow, a book on branding for small and medium-sized enterprises, a few years ago. Like BreadTalk, Louken has taken off in a big way. From one employee and one company when it started, it now has eight companies employing nearly 90 people. The number of clients jumped from five in his first year to more than 1,000 spanning 15 countries now. They include brands such as catering group Neo Garden, electronics distributor Serial System and cosmetic company Skin Inc. The group offers a full suite of branding services, from brand growth to strategy and training research. Besides several offices overseas, it also has an academy conducting training workshops for chief executives of small and medium-sized enterprises. 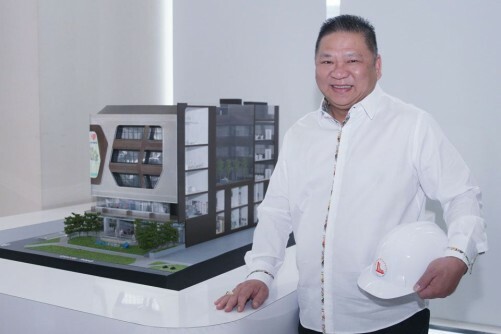 If the string of accolades the group has picked up is any indication - Louken picked up awards by Marketing Magazine for top agency and top brand consultancy for several years - Mr Lim is not doing too shabby a job as corporate leader. He has initiated a strong corporate social responsibility programme in Louken. Over the years, the group has contributed to charities including World Vision, Salvation Army and The New Charis Mission, a halfway home for drug addicts. Last year, it built an orphanage in Chiangmai in Thailand, which is named after his paternal grandmother Tan Siok Tin. "I learnt a lot from her. 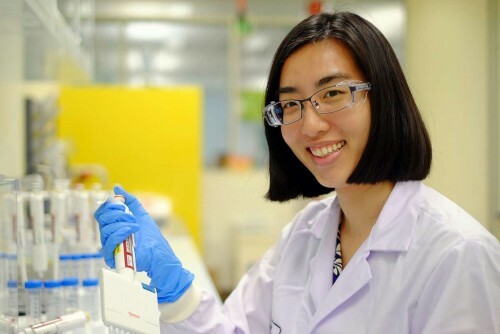 She adopted four children, and what she got with her left hand, she would give out with her right, which explained why she was almost always penniless," says Mr Lim, who is married to a former university professor. The couple have three daughters aged between one and six years old. Because of his initiatives, non-profit organisation Junior Chamber International named him one of its 10 Outstanding Young Persons last year. Not surprisingly, Louken's success has led bigger international agencies to come a-calling. Despite a "very tempting" offer a couple of years ago, Mr Lim decided not to sell his group as it was his mission to help turn Asian brands into world market leaders. "Maybe it's a lofty ideal," he says. "But when you help a company brand itself well, it will enjoy many economic benefits."